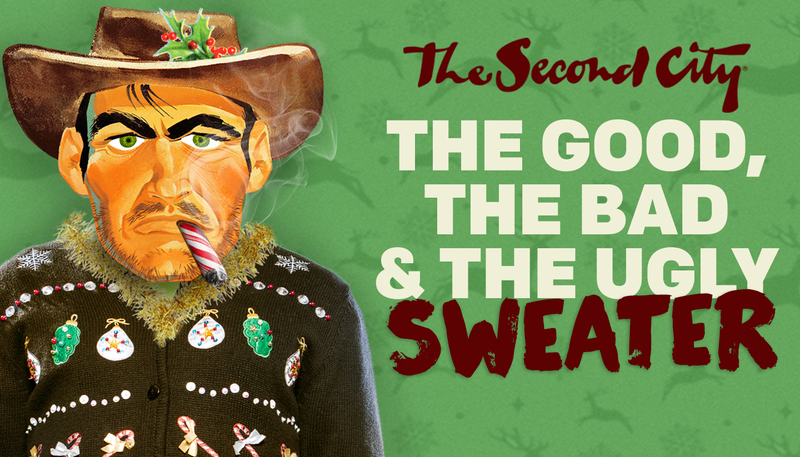 The Second City’s THE GOOD, THE BAD & THE UGLY SWEATER. It’s the most wonderful time of the year-ish! Laugh along with The Second City as comedy’s best and brightest roast the chestnuts outta all the things we lovingly loathe about the holiday season. Why, it’s enough merriment and music to keep you jolly ’til the Chicago snow melts…next May.